Styling short hair with hot tools is tricky if you have not got the hang of it. Due to its short length, it is very difficult to style with a curling iron or flat iron. There is always a risk of burning the nape of your neck if you are not too careful. Short hair is also more vulnerable to breakage than long hair. This, however, does not mean that attractive styles are not possible with short hair. Small hot rollers are perfect for achieving tight curls, whereas large hot rollers are ideal for achieving loose waves. Tight curls are preferable because they add volume to short hair. 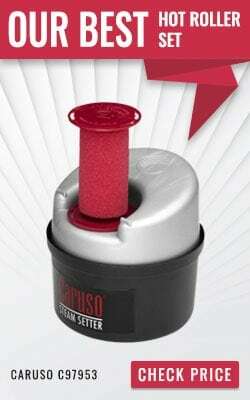 Large hot rollers will fit comfortably in hair that extends to the shoulders. But, small and medium hot rollers are better for shorter hair. Therefore, it is important to plan ahead and choose the roller size suited to the length of your hair and the style you desire. Do not proceed with hot rollers if any of these products or accessories is absent. It is essential that you do it the right way or not do it at all for the sake of preserving your hair in good shape. Conditioner makes the hair too smooth for it to hold on to the hot rollers long enough. This problem is more acute in short hair than it is in long hair. 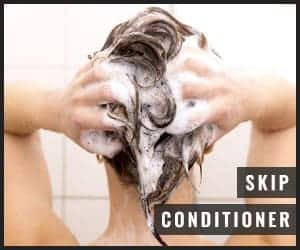 Therefore, if you cleanse your hair or simply wet it, skip the conditioner altogether. Either air dry or blow dry your hair and set the rollers in after applying a heat protectant. Do not be deceived into thinking that short hair is tangle-free. Short hair has its fair share of knots. Release the knots before you set in the hot rollers otherwise, you will end up with a bird’s nest rather than an elegant style. 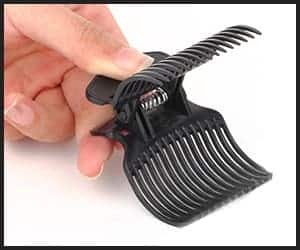 Metal hot roller clips or claw clips create unwanted creases in your hair. This problem is more acute in short hair than in long hair. Therefore, opt for plastic claw clips or hot roller clips to avoid the creases which will ruin the style. Avoid bobby pins for the same reason. This is an important step for short hair. It helps to add volume to hair that tends to look slightly shorter or flatter after using hot rollers or any hot tool for that matter. Part your hair into as many sections as the style requires and tease each section at the roots before setting in the hot rollers. Be careful not to tug at the teasing otherwise, you will undo the volume that was created by the teasing. Start rolling each section of your hair from the center, making sure to roll in the ends of your hair and then proceeding right up to the scalp. 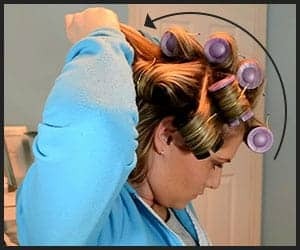 This technique will not only give you a nice curl but will also prevent tangles and avoid over-heating the ends of your hair. Although there is nothing to stop you from creating sections wider than 1 inch, it is better not to exceed this width. Smaller sections will help you achieve tighter and more defined curls which are recommended for short hair. On average, short hair can be sectioned into 3 rows with 3-4 rollers in each row. To curb frizz and knots in short hair, it is advisable to start putting the rollers from the top of your head and proceed back to the nape of your neck. First, take a 2-inch section of your hair from the front of your crown. Then, create 2-3 more sections along that row until you reach the nape of the neck. This pattern is called the Mohawk due to its striking resemblance to the traditional Red Indian headdress by the same name. If you brush or comb your hair soon after removing the rollers, the curls will collapse and the style will be ruined. Spray on some strong-hold hairspray while the rollers are on and after taking them off. This will ensure that the style lasts many hours at a stretch. It is normal for short hair to appear even shorter after it has been styled. So, do not be dismayed to see this once the rollers come off. For short hair that is very difficult to curl, use the hot rollers on hair that has been washed the day before. If you have varying roller sizes, only heat the ones you will use. 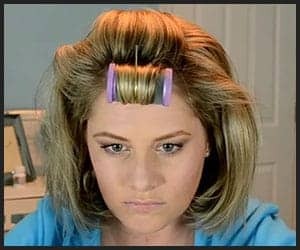 Make sure you have enough claw clips especially since short hair requires multiple hot rollers at a time. Always make sure you choose the right roller size, use the correct styling products, keep your styling accessories handy, and use plastic clips instead of metal ones. Also, omit the conditioner if you style your hair on wash day, and detangle your hair before setting the hot rollers in your hair. Part your hair into 1-inch sections, tease them at the roots, and roll them from the middle. Remember to set the rollers from the top to the bottom of your head, and avoid brushing your hair after you take them off. 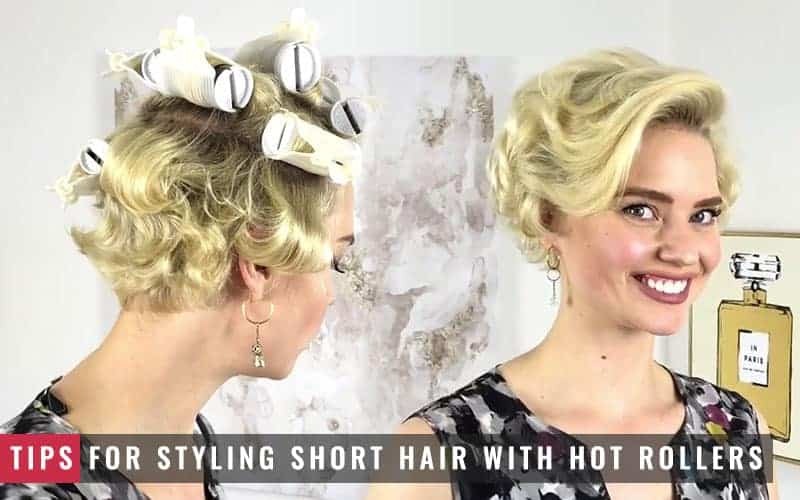 If you follow these styling guidelines, you can rest assured that your hot rollers will give your short hair a long-lasting style.